If not testing, then what else? Scroll through any news site these days, and you will find an article about the mental health crisis many high schoolers are facing. With pressure to do well in school leading to nothing but hours and hours of studying, adding tests such as the ACT and SAT into the mix, and you have a recipe for disaster. This has made the SAT/ACT into an unnecessary stressor that needs to be stopped. The SAT’s original purpose was honorable and made sense. James Conant, a chemist and the former President of Harvard University, advocated for the creation of a Scholastic Aptitude Test in order to stop the unfair advantages the higher class had of getting into more top tier schools, such as Harvard. Finally, it was created in 1926. While the SAT may have stopped wealthier families from paying for acceptances into prestigious schools, it is far from an equalizer. 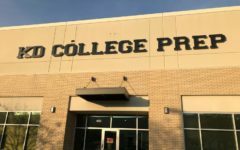 Today, students can attend prep classes for these tests, which can cost more than $3,000 for a starting freshman at places such as Karen Dillard College Prep or Michael Jordan College Prep. However, due to the costliness, many students cannot afford to attend these classes, providing an unfair disadvantage to students who may be as smart, diligent or ethical as the next, but was born into a family that cannot afford these classes. These students do not have access to the information about the tests that they may need in order to get the score that will get them into the college of their dreams. In order to truly provide a fair chance to all students, regardless of social class, prep class costliness has to be lowered, something the College Board or the ACT company simply cannot control. Following the SAT, more and more students were attempting to get into higher colleges, which created the need for another standardized test, the ACT. While the ACT provided another option in the past for students, today students are taking both. Constantly studying for these tests, along with all of a student’s other classwork, can lead to even more stress that can negatively impact their academic performance at school. Many people argue that the stress these students are facing are what they brought upon themselves, that colleges are not forcing all of the extra studying. While this is true, they are influencing something that often does control students. Parents. Often times, many students are pressured and forced by their parents to do well on these tests, for fear that their kids will not get into the school of their parents dreams. These parents see other kids with good test scores getting into school, and believe that they must pressure their kid to do more studying in order for them to get into a good school. Another aspect of these standardized tests that renders them unfair is that they are rarely an accurate reflection of whether a student is intelligent or not, whether they can work well in a group and many of the other qualities that colleges consider when looking at students applications. “People have different skill sets, and judging their ability as human beings to function in an environment should not be based on a single number,” CHS senior Jia Jari said. Each student is more than just a number. We are real human beings, with complications in our lives that can affect how well we do on a test. No matter the number, a test score does not show the hours upon hours a student spends studying, or the experiences they are going through. It just shows how well we take a test. Testing does not work for all students. Due to different techniques of learning, like visually, auditorily and tactically, student may have trouble taking tests. A person’s technique of learning does not mean they are dumb. It should not determine whether or not they are accepted into a college. It just means that their brain is wired in a way that makes test taking more difficult for them. Of course, everyone knows that the SAT and ACT are not the only things colleges consider. They consider class rank, GPA and their resume. However, these things are hard to maintain, and are made harder by studying for these tests, so in a way, their test score is reflected through these places. Rather than focusing on a number, it is better to focus on who student’s are through their applications, essays and extracurriculars. These things show how hard they work, what their personality is like and ultimately, whether they are fit for a college. The only thing that standardized tests reflect is how well a student can take a test, something that colleges really do not consider when looking at applications, without the test. If colleges are not looking at that ability in an application, what is the need for another test?